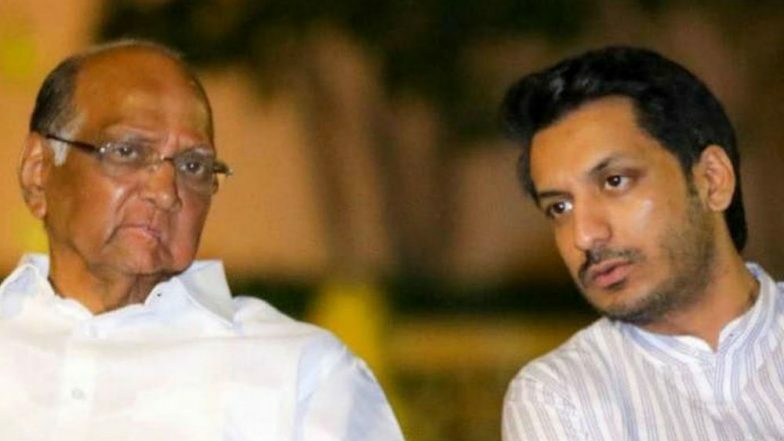 Mumbai, April 16: NCP leader Ajit Pawar's son Parth Pawar is facing criticism by Opponent parties on the issue that his Marathi is not fluent enough and that he cannot connect with the rural voters because of language deficiency. Parth Pawar, talking to a news channel, said that he "needs a year" to learn the language and be proficient at it. NCP Chief Sharad Pawar Not to Contest in Lok Sabha Elections 2019, Paves Way For Grand Nephew Parth Pawar. The 29-year-old Parth Pawar, who entered the electoral fray after his granduncle Sharad Pawar decided not to contest the 2019 Lok Sabha Elections, has faced criticism for not being "fluent in Marathi." However, Parth Pawar has said that he will soon learn Marathi and needs just an year, talking to NDTV. He added that he is focussing on issues like jobs for youth, unemployment and issues that affect the youth. Maharashtra Lok Sabha Elections 2019 Dates: Constituency-Wise Complete Schedule Of Voting And Results For General Elections. The Nationalist Congress Party (NCP) leader Ajit Pawar on Monday appealed to the unmarried and single voters to vote for his son, Parth, who is the Congress-NCP candidate from the Maval Lok Sabha Constituency. Speaking at a mela in Pimpri, Ajit Pawar said that unmarried members are needed in Parliament in Lok Sabha. "Parth is representing this category,” said Pawar. Sharad Pawar, the 78-year-old Rajya Sabha member and former Union Minister, decided to launch his grand nephew Parth from Maval constituency. “I thought that already two members of my family are contesting the election and this is the time one should think about not contesting. Hence, I felt this is the right time to take a decision not to contest since I have already contested 14 times in the past,” said Pawar at the time of making the announcement.